As of the writing of this review I have read all T.M. 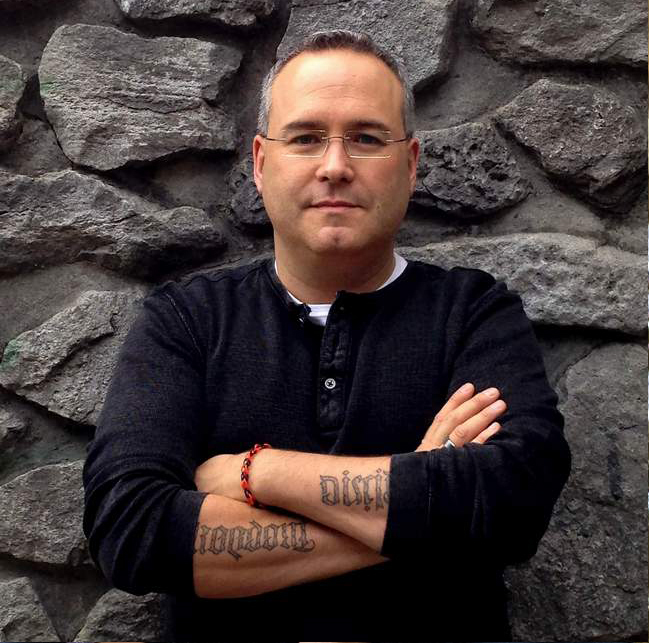 Gaouette’s published novels. I have appreciated her story telling immensely since first reading The Destiny of Sunshine Ranch, about a foster family. 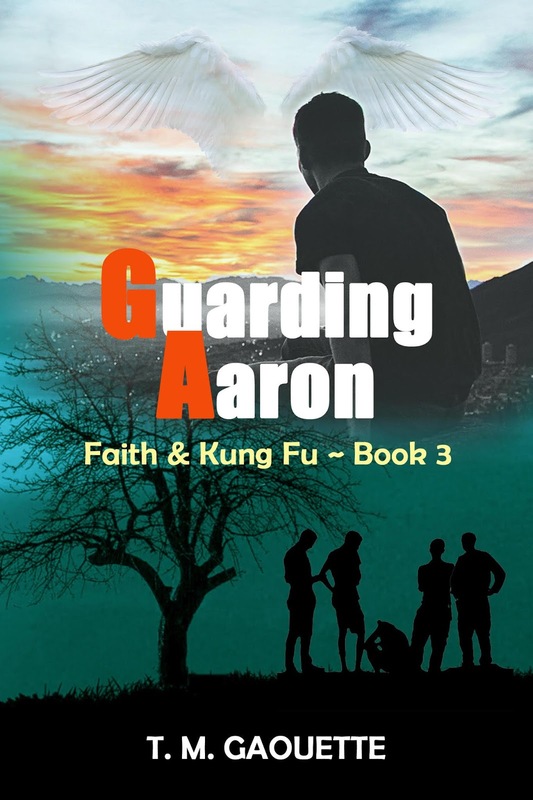 But Guarding Aaron is the third novel in a series of four, and I find that with each book in the series the series gets better. I must say I was completely surprised by this novel. The twists that are tossed in this book, some subtle, and some not really make the reader think. Many of the characters in this book are familiar to us from the first two volumes. And reading about this is like a visit with old friends. It is a chance to catch up and see where they are at in life, and in their spiritual journey. For some there is marked changes, and improvements. For others we see a turning from what they once believed and held dear. There are three main plot lines in this story that all wrap together well. First, we have Aaron being bullied at school, and who discovers the Dojo where Gabriel assists with teaching. 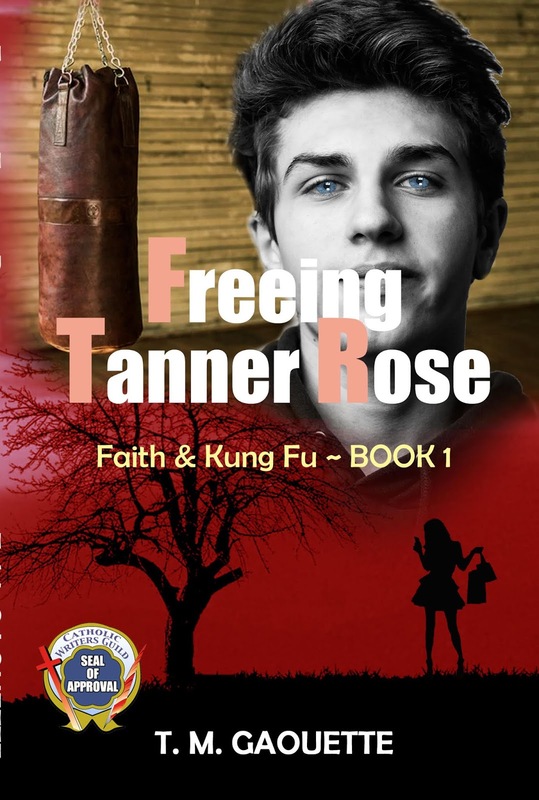 We have Gabriel and Tanner who have feelings for each other but are both trying to find God’s plan and purpose for their life. And finally, we have Faith Perry, a young woman who is losing her way. 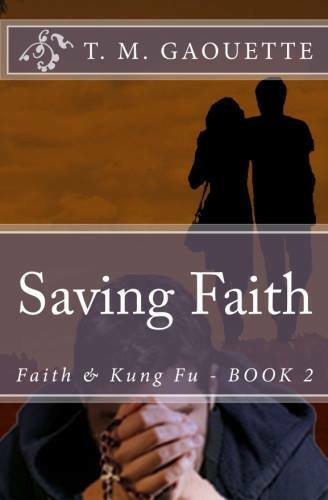 All three plot lines flow in and around having faith, trusting God, and seeking god. The characters are one of the greatest strengths of this book and the series. The genre of these stories is ‘realistic fiction’. And in fact, reading these books could be like encountering friends and family that you know in real life. In fact, there is a young woman at the Dojo where my children and I train who just achieved her black belt who reminds me of a female counterpart to Gabe. The characters are so well written that readers might be disappointed to find out there is only one remaining book planned in the series. The second great strength of the story is the story itself. The plot and how Gaouette handles the elements is masterful. 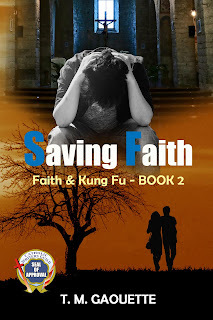 In this story we have bullying, teen drinking, discernment of God’s will, and overcoming adversity. The story is an intense and engaging read on many levels. I could not put the book down, and to be honest am desperate for the final installment in the series. The more I read by T.M. Gaouette the more I want to read. I thoroughly enjoy her works and appreciate that they are good clean Christian fiction. This is an excellent Catholic Young Adult book but can be read and enjoyed by anyone who loves a good story! A truly great read in a wonderful series for readers of all ages.